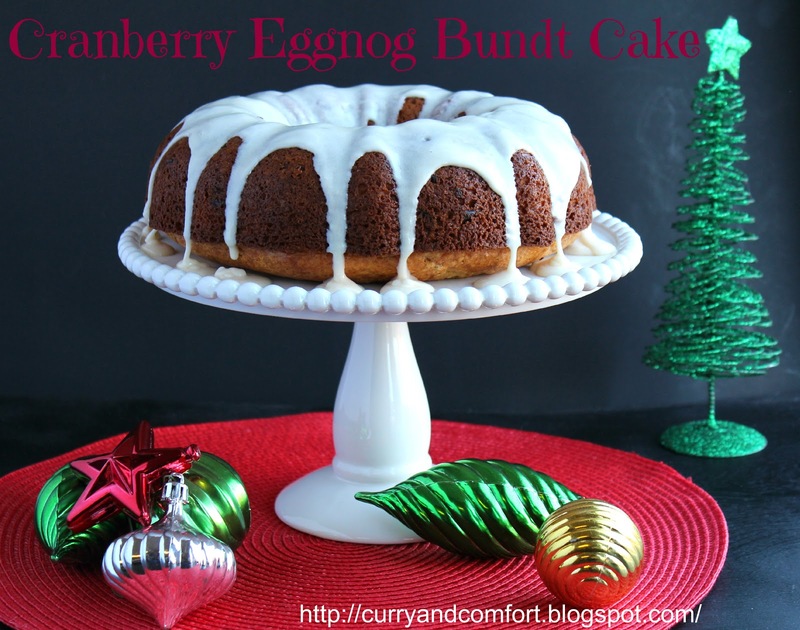 I have two very good reasons for making this Cranberry Eggnog Bundt Cake today. First of all it's a festive cake that's easy to throw together. Second, I wanted to showcase this beautiful cake stand that I won from Christi over at Mom Whats for Dinner when she had one of her many giveaways. I was over the moon to win a cake stand because I kind of love them. This one is precious with the beaded edging. There is actually a third reason I am excited about this dessert, I finally learned to make a glaze that looks like the ones on the cakes at the grocery store. I learned this thanks to watching Alton Brown on TV. Here's the tip, pour the glaze in a circle around the top of the bundt. As it covers the top of the bundt it will drip down the sides and look very pretty. 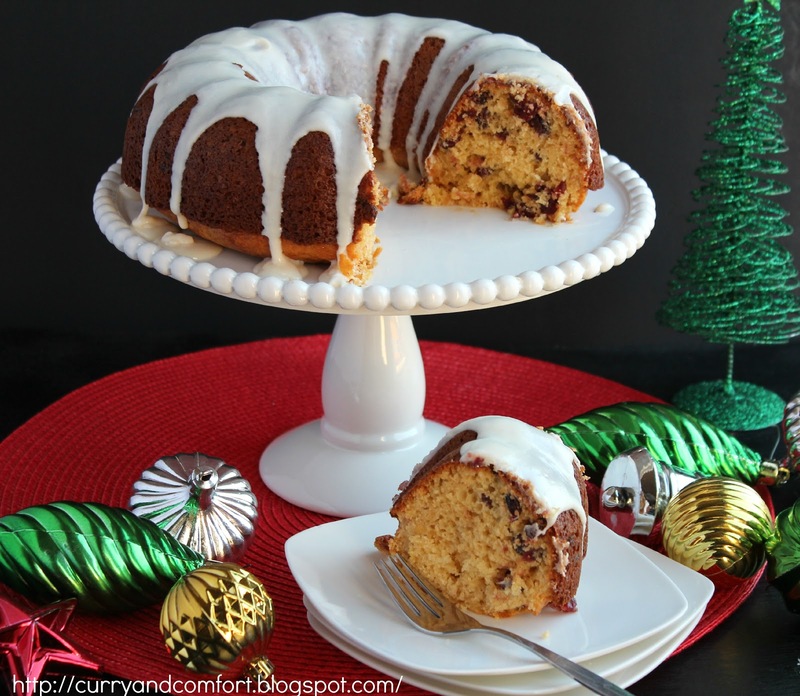 This cake is moist and rich with the subtle flavors of eggnog, cinnamon, nutmeg and the tartness of the cranberry. It's a great way to add sweetness to your day after a meal or just with a cup of coffee. 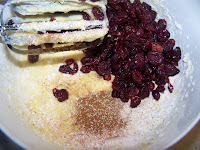 Add craisins, cinnamon and nutmeg. 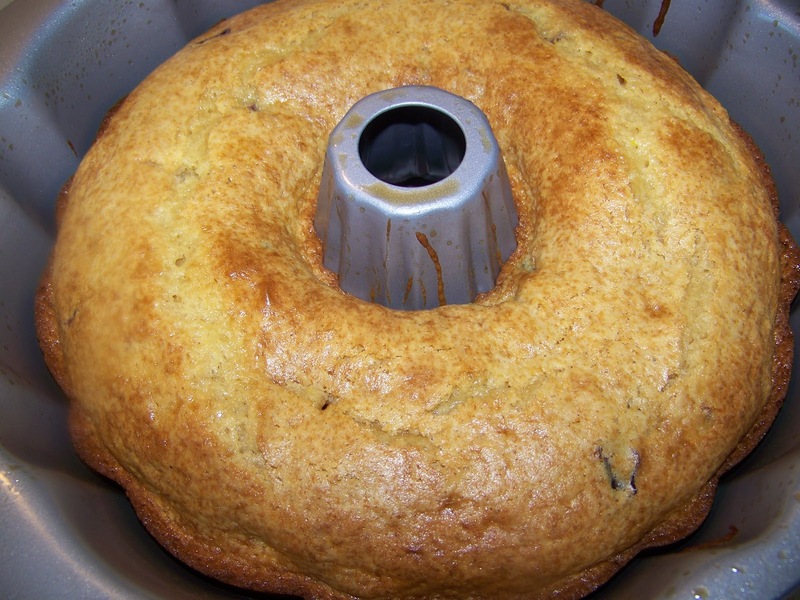 Butter or spray bundt pan well. Bake in a 350 degree oven for 45-50 minutes until baked. Allow cake to cool. Mix glaze by stirring powdered sugar with eggnog. Pour glaze over the top of the entire cake. Allow glaze to setup before serving. Enjoy. This is gorgeous!! I would love a slice of this with my cup of coffee! Stunning! Both the cake and the stand! Just lovely! What a great cake to show off with the stand! I am glad you love it! Looks super pretty. I see you are no longer homeless! Welcome to foodieblogroll! The cake sounds wonderful! I finally have a bundt pan too! The cake and glaze looks so good and yummm!!! And you included two of my fav. 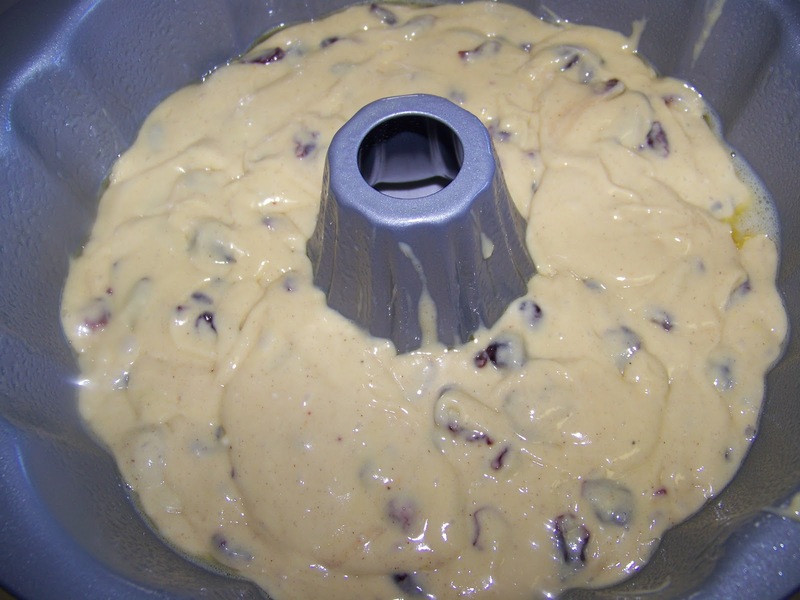 things: eggnog and cranberries! This is a great flavor combo that I don't think I have ever tried! Yum! Lovely cake and amazing presentation! Congrats on winning the stand and this cake is so tempting. 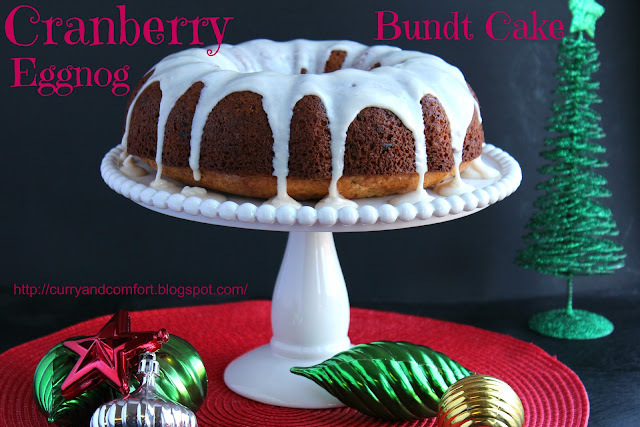 Love bundts! The cake stand is also beautiful. Congrats! !